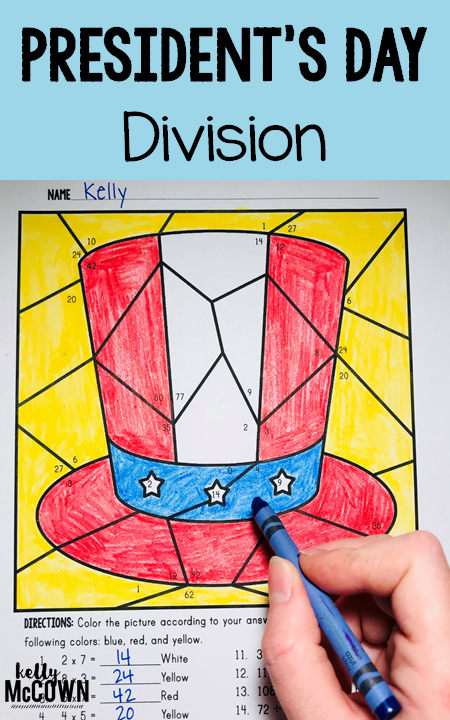 Want a fun engaging review of math skills? 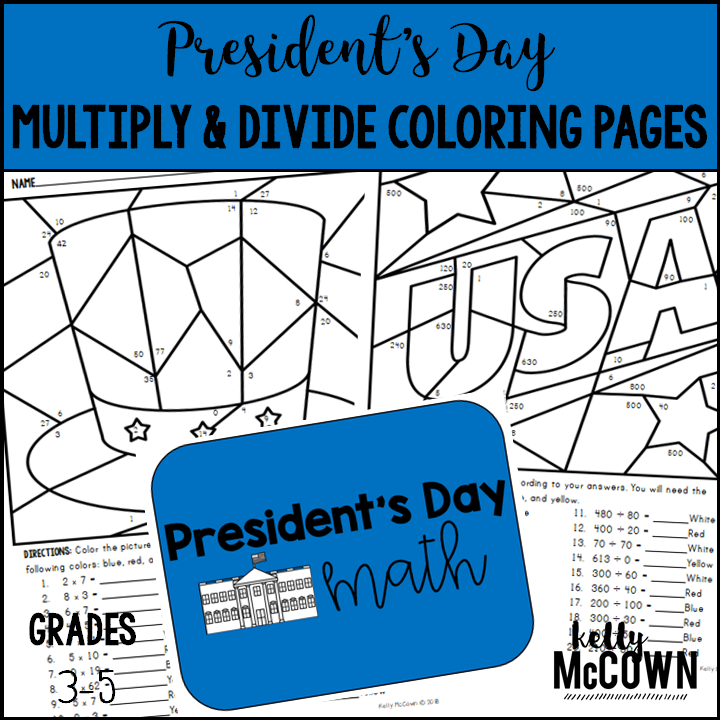 These President's Day Multiplication & Division Coloring Pages feature different colors with fun President's Day colors. These coloring pages are a great way to practice multiplication and division skills for class work, home work, or fast finishers! 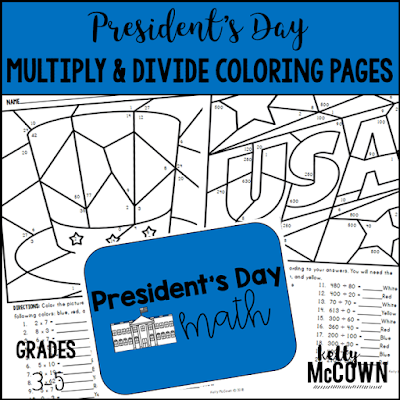 I hope this is a great review for President's Day! Keep your students engaged and enjoying math.